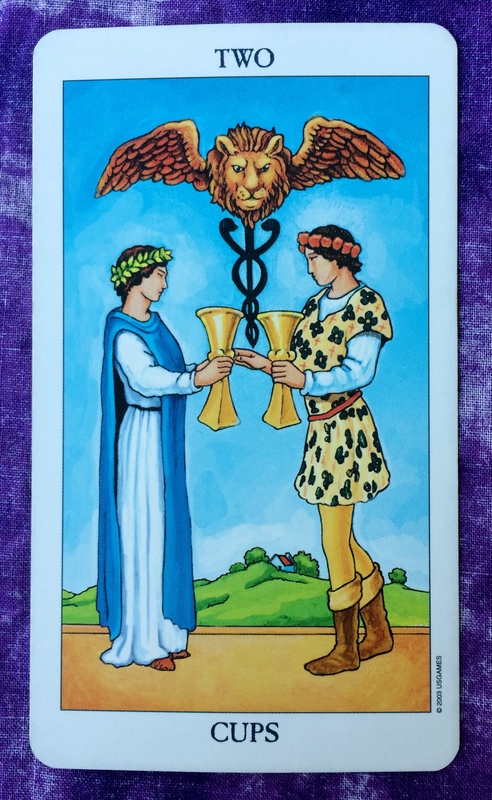 The Tarot card for today is the Two of Cups. Astrologically, the three-week Mercury retrograde starts later today. There can be difficulties with communication during a Mercury retrograde. But with the Two of Cups, perhaps you can overcome some of these difficulties by giving your focused attention to one person at a time. Spend quality time with a family member, friend, or lover. Make it your business to be in the moment in order to deepen your connection. When all is said and done, good relationships can help you through many of the challenging aspects in your life.